I don’t know about you, but my tomatoes did pretty awesome this year. We had a constant supply all summer right up until a few weeks ago when the last round failed to ripen. 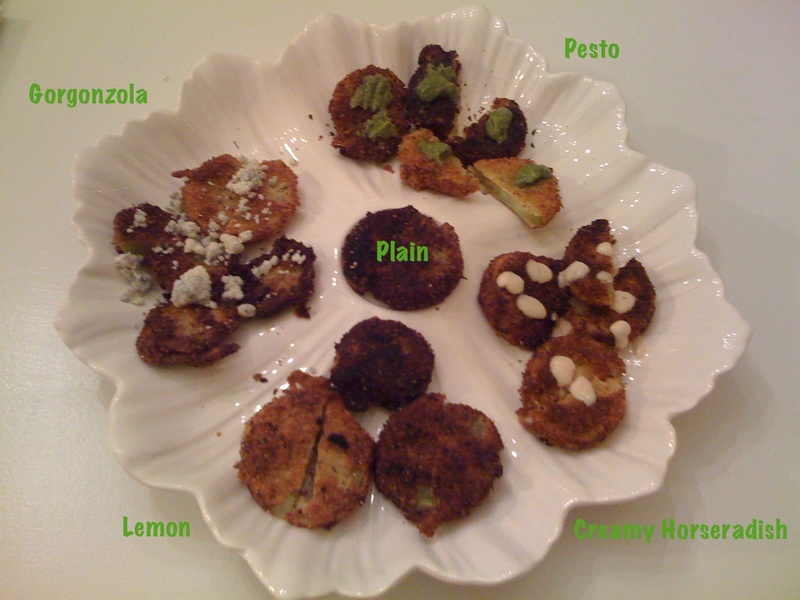 What to do with unripe tomatoes, hmmmm. Fry them of course! 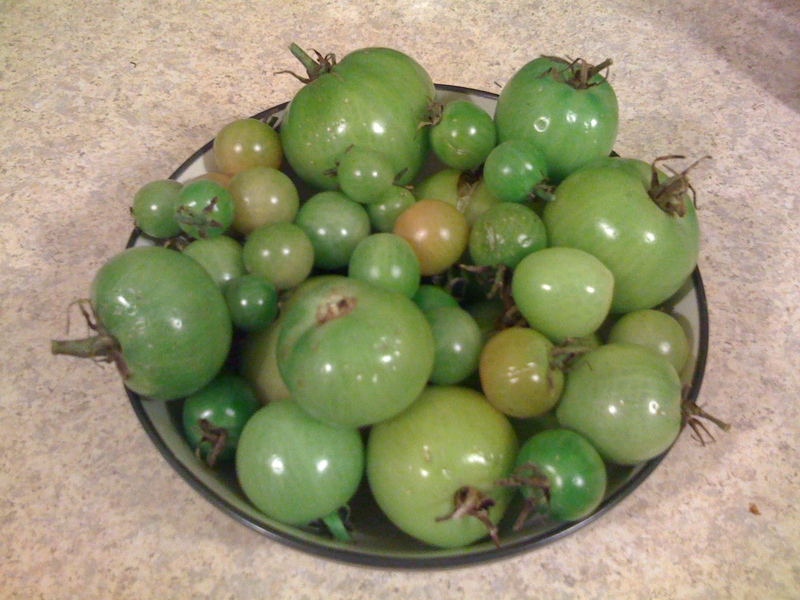 Step 1: Pick all your unripe tomatoes. Step 2: Slice about 1/4″ thick. Step 3: Flour, egg wash, bread crumbs. Step 4: Fry in about 1/8″ of oil. Step 5: Get creative and enjoy! Entry filed under: How To, My Garden, What's Cookin'. 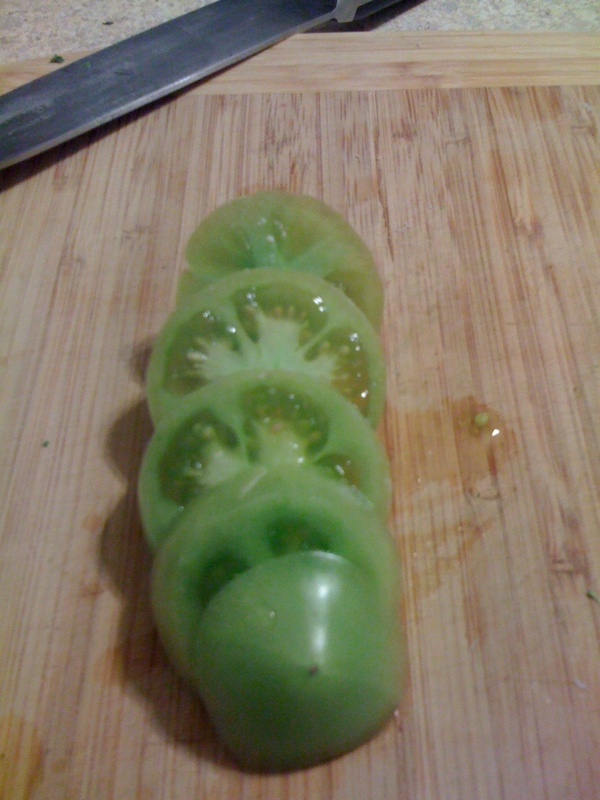 Tags: Fried Green Tomatoes.